Photo: Battle damage on rear of the Anderson House. Caption: Battle damage on rear of the Anderson House. 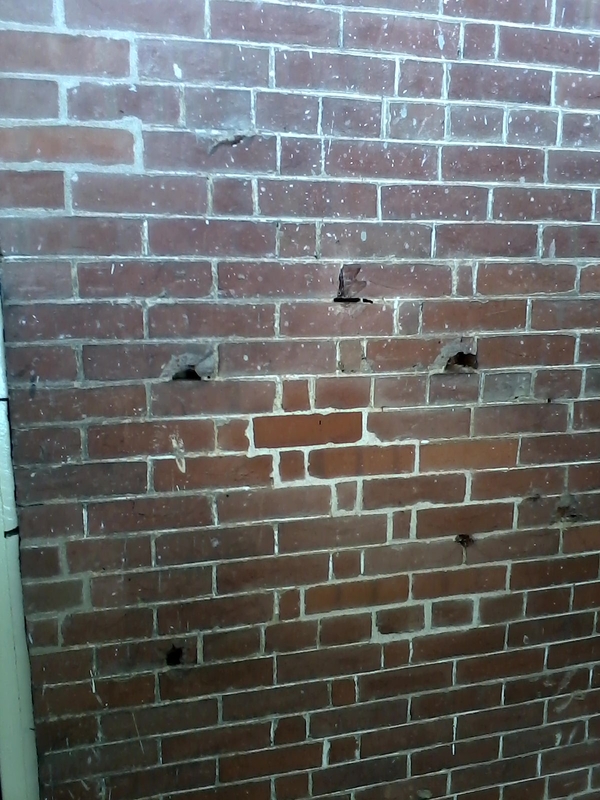 Additional Description: This photo shows some of the damage to the Anderson House described on the marker.